Have you ever heard of the term EDC or Every Day Carry? If refers to essential items that you carry with you every day. This can range from common EDC items like your phone, watch and keys. But EDC can cover a whole range of other items such as multi function tools or even gadgets such as power banks and USB flash drives as such items transition from nice-to-have items to must-have items. The key chain makes a great tool for holding our essential keys as well as a great storage place for a whole range of other EDC gadgets. 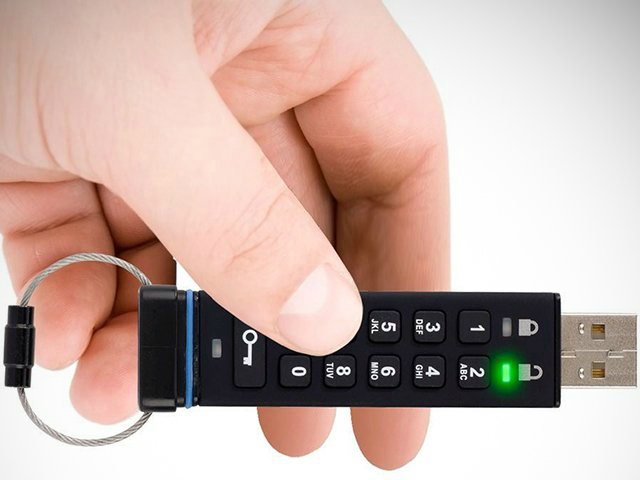 Here is a list of great gadgets that we think are worthy of a slot on your keychain. 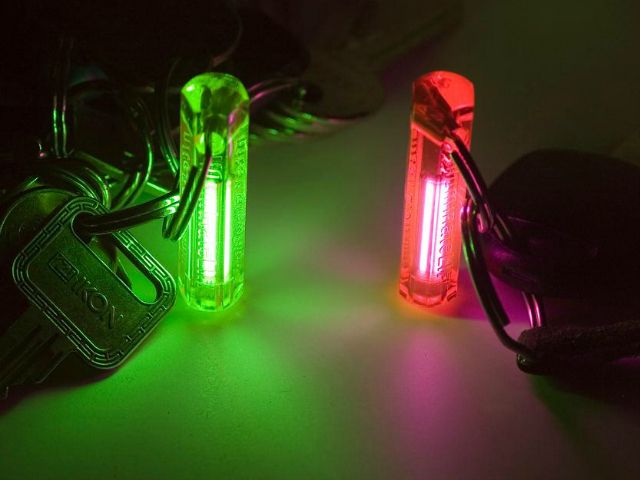 The Nite Glowring Keyring is a rather cool radioactive powered glow ring that stays glowing for up to 10 years without the use of any batteries or any other power source. You might also be interested to know that it is the same technology used in aircraft instrument dials, compasses and even weapon sights. 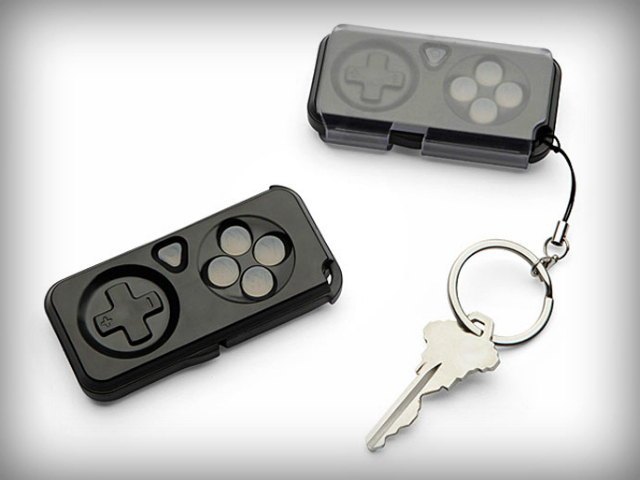 Great for tagging your keys so that you can find them even in the dark. Need a quick fix of Goat Simulator (don’t ask) on your phone while on your morning commute? Play Goat Simulator as it is meant to be played – with a gamepad. All you need is the iMpulse Wireless Controller that works with both iOS and Android devices. Works for both right and left handed users. Use as a selfie remote when you are not fantasizing of being a goat. 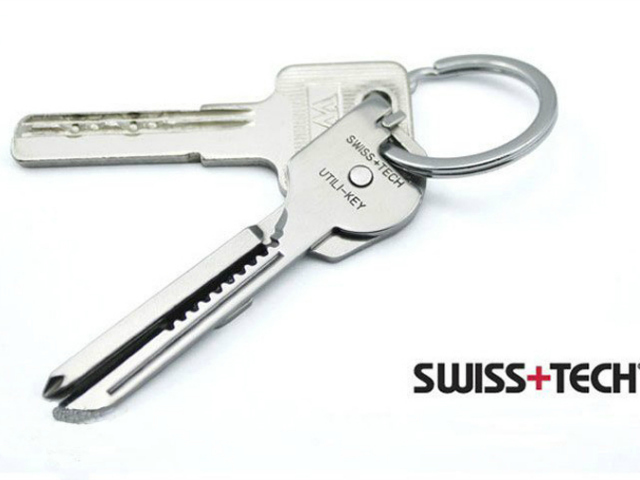 The Swiss Tech Utili-Key Multi-Tool looks so much like a key, you probably wouldn’t realize that it is actually a multi-tool gadget that has 6 different uses. It has 3 types of screw drivers including a micro-sized one for repairing your glasses, 2 different blades for cutting and of course, the must-have tool in any multi-tool, the bottle opener. 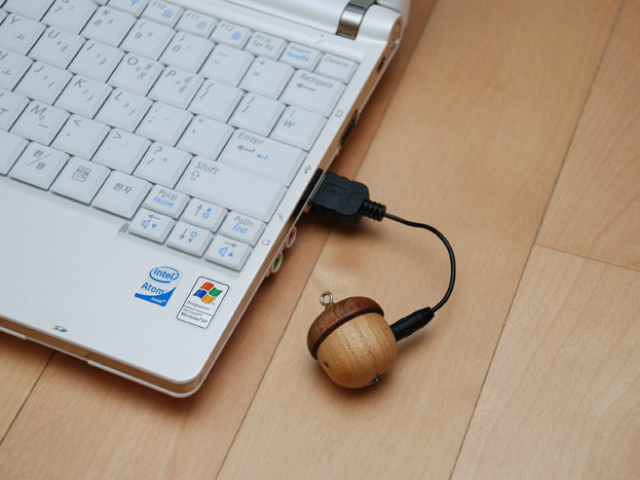 At first glance the Motz Tiny Wooden Acorn Speaker looks a lot like those kitschy trinkets that some folks love to hang on their keychain but it is actually a tiny wooden hand crafted speaker that works great with your smartphone or tablet. It has a built-in rechargeable battery that pumps out quite impressive audio for a speaker its size. If your phone runs out of battery, just plug in a pair of earphones and use the Motz to listen to radio broadcast instead. Need somewhere secure to stash a bit of emergency cash that you can carry around with you? The CashStash Waterproof Capsule is just large enough to squeeze in a single note that you can make use of in an emergency. Lost your wallet? Miscalculated your spending? 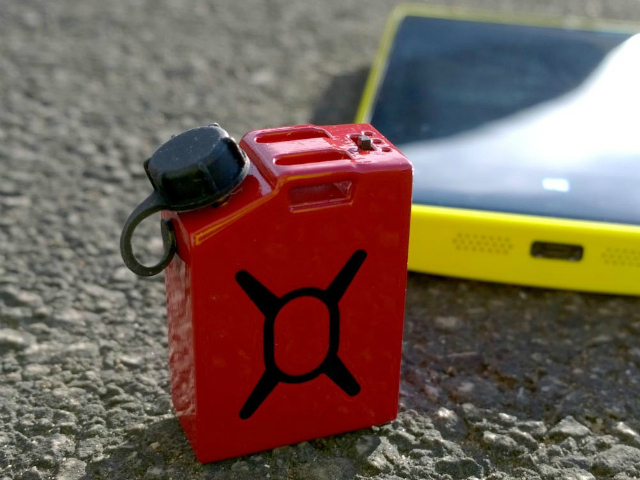 The CashStash Waterproof Capsule is there to save the day. How many times have you been caught in a situation when your phone runs out of battery and you had to make an important call or send an urgent text message? If you are anything like us, you have probably been caught in this situation countless times. With the Devotec Fuel Micro Sized Charger, you can now top up your battery about 5% or less with its 220 mAh battery. But that should be enough to allow you to make that call or send that text. Don’t drink and drive. However, if this is really unavoidable at least do the sensible thing and make sure that you are not over the limit if you have to drive. 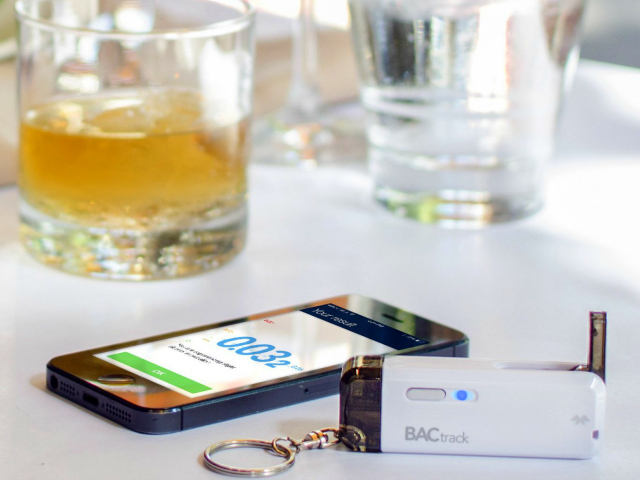 The BACtrack Vio Keychain Breathalyzer is a handy little device that can measure your Blood Alcohol Content (BAC) and gives you instant results via your connected smart phone or tablet. If you happen to be over the limit, the app will even conviniently tell you how long you have to wait before your BAC drops to acceptable levels. That will help you device whether to wait it out or just take a cab instead. Tracker tags are quite common nowadays but we chose Tintag as our choice to be included in this list. 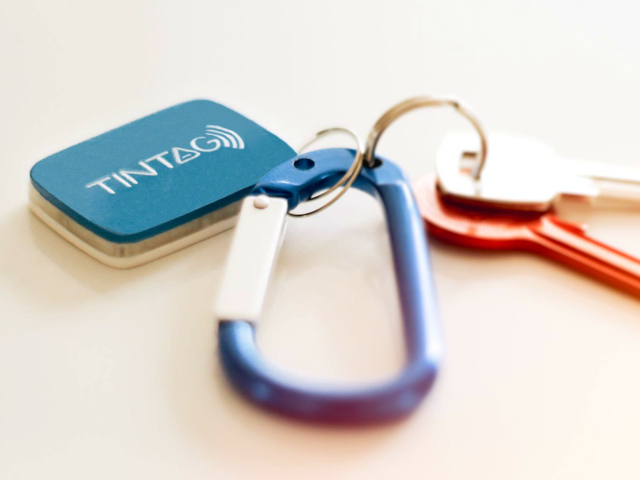 This is because the Tintag is much more than just a tracker tag. 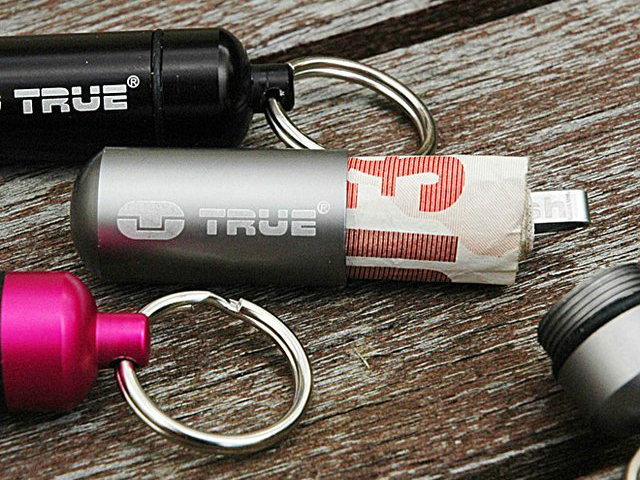 It would of course act as a tag for your keychain helping you find your keys with your phone should you lose them. However, the tracking is 2 way and you can use Tintag to look for your phone. The rechargeable battery on the Tintag also allows it to include additional functions and features such as a longer 100m range plus it has a buzzer and LED light that makes finding a lost item a little easier. If you need to add a USB storage drive to your keychain, we highly recommend the Apricorn Aegis Secure Encrypted Flash Drive if data security is one of your priorities. This flash drive has a hardware PIN access on the drive itself. To access the data, you have to enter a 7 to 15 digit passkey. The drive will self destruct and wipe out all data after 10 failed attempts. The keypad is also wear resistant to prevent the bad guys from guessing your PIN by the wear on the buttons. While we love the new Apple Lightning connector on the new iOS devices, Lightning cables are still not that commonly available compared to micro USB or even the older Apple 30-pin connector cables. This means that most of us end up carrying a Lightning cable for charging or the occasional data transfer. 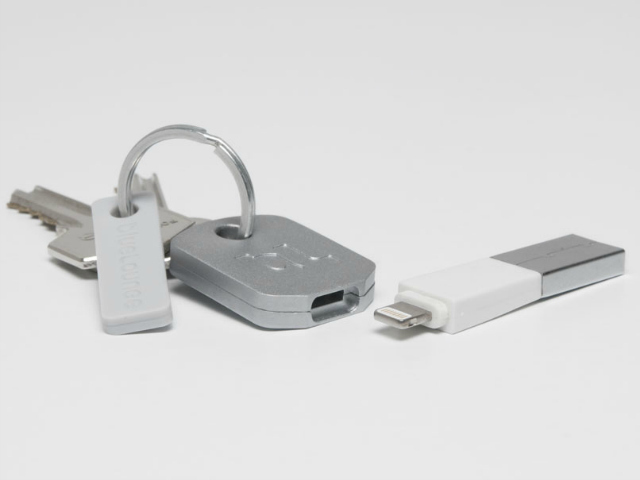 However, with the Bluelounge Kii, you can carry a Lightning cable right on your keychain. With the Kii, you no longer have to worry about not having a charging cable with you.